May 8 is Victory in Europe Day, or VE Day, the day in 1945 when Nazi troops laid down their arms, ending World War II on the continent. Ceremonies were held in both Europe and the United States to remember the 70th anniversay of the Allied victory and to honor veterans of the war. 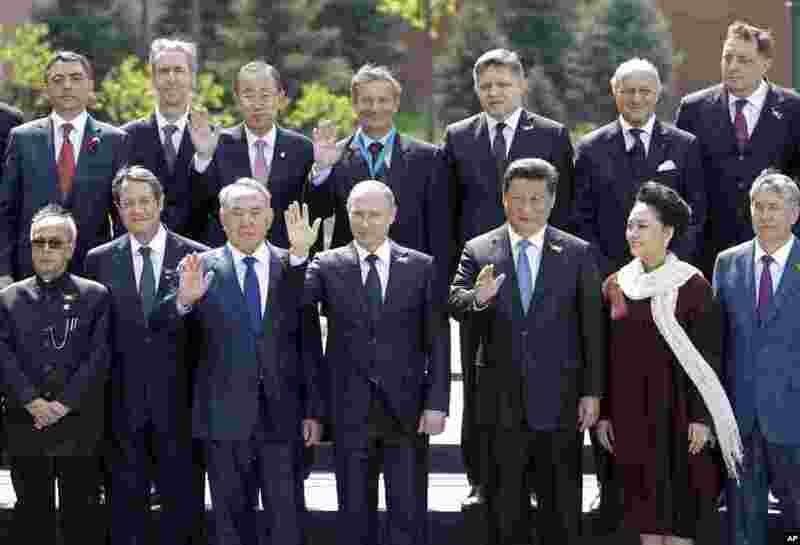 Russia commemorated the anniversary on Saturday, May 9. 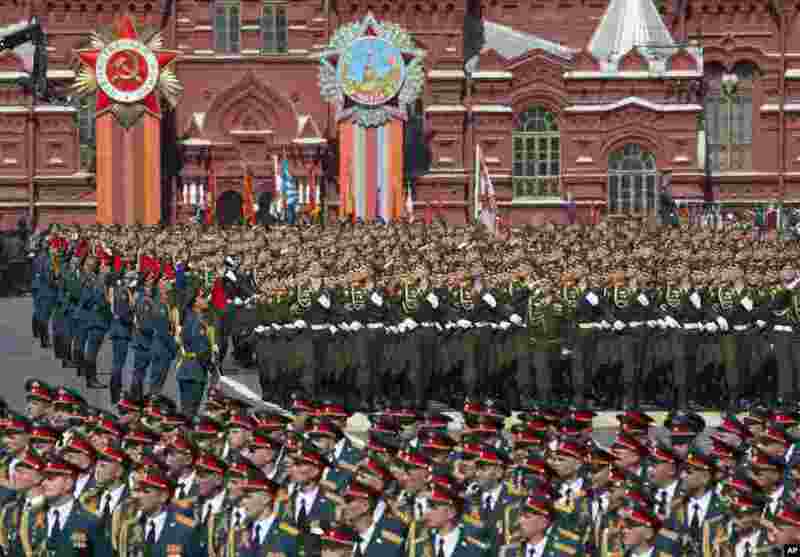 1 Russian army soldiers march along the Red Square during the Victory Parade marking the 70th anniversary of the defeat of the Nazi Germany in World War II, in Moscow, May 9, 2015. 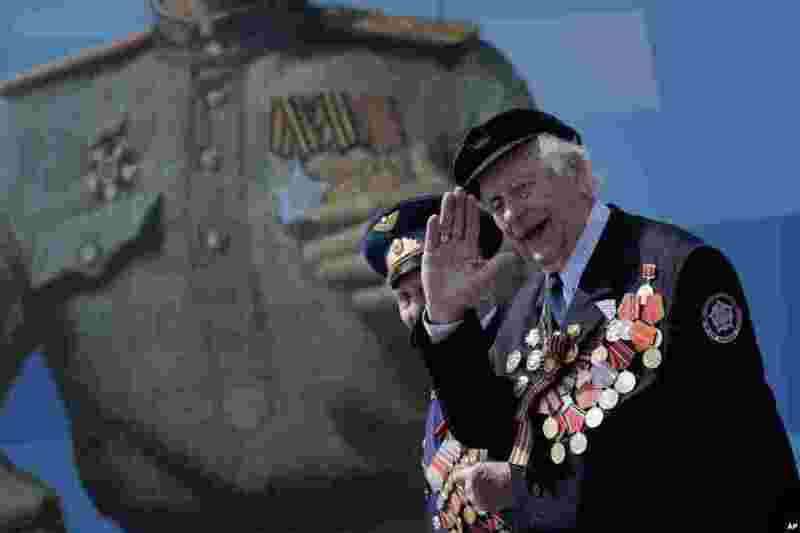 2 An unidentified Russian WWII veteran salutes as he walks, after the Victory Parade marking the 70th anniversary of the defeat of the Nazi Germany in World War II, in Red Square, Moscow, May 9, 2015. 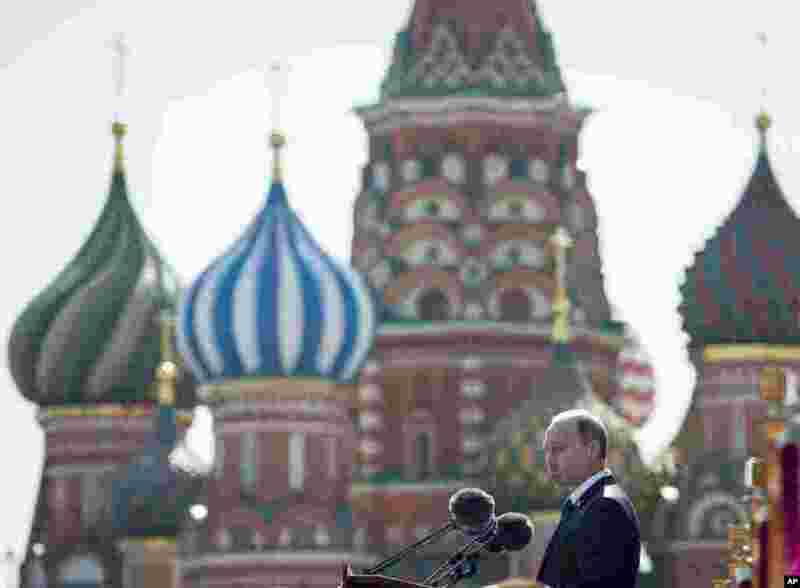 3 Russian President Vladimir Putin addresses the Victory Parade marking the 70th anniversary of the defeat of the Nazis in World War II, in Red Square, Moscow, Russia, May 9, 2015, with the St. Basil's Cathedral is in the background.